Saratoga Flag Company had the proud honor of updating the New York State Seal, in order to manufacture the largest known New York State Flag, to fly in New York State! 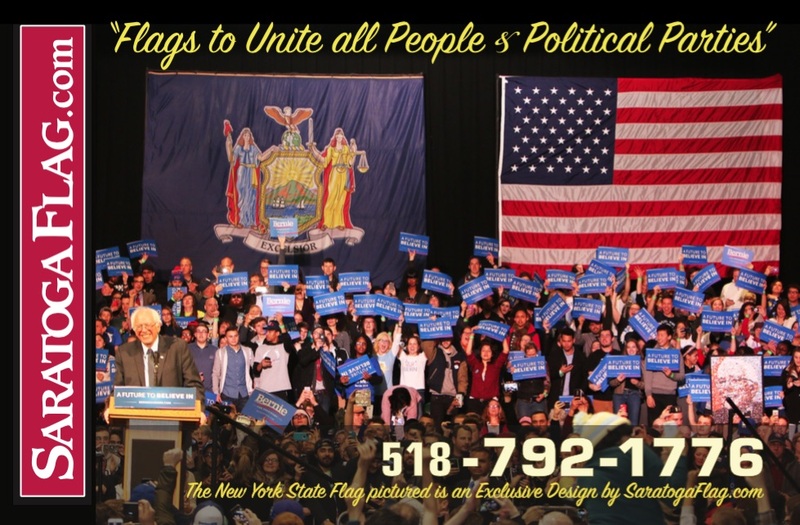 DEDICATED ARTISTS: Our professional artists spent hundreds of hours re-drawing the New York State Seal (Coat of Arms) from scratch, in order to stitch up a Custom 11 FT x 17 FT NYS flag to fly on a 60 FT flagpole in the City of Glens Falls (Upstate New York). The Life-sized Goddesses, “Liberty & Justice,” stand 6ft tall on the flag. 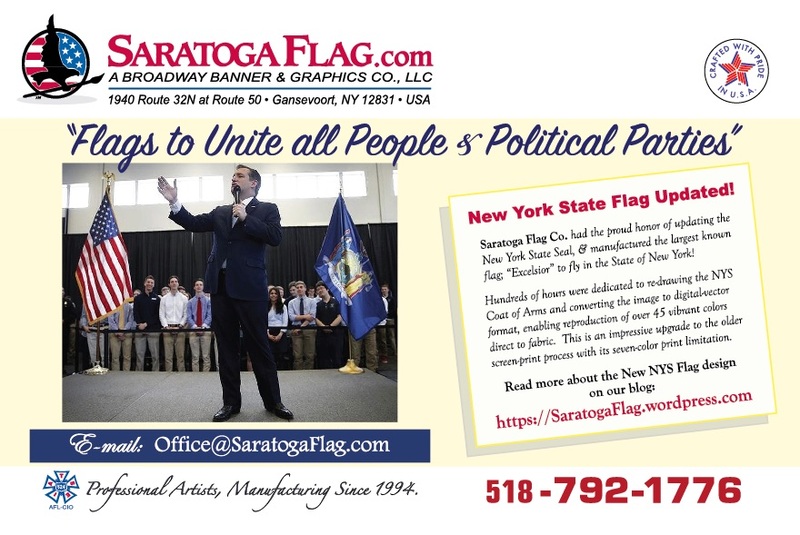 HISTORIC LOCATION: Saratoga Flag is located in Gansevoort New York, which holds another special tie to the New York State Flag (originally designed during the Revolutionary War). The hamlet of Gansevoort (located in Saratoga County, just 20 miles north of the Historic Saratoga Battlefield) is named for the American Revolutionary War Colonel Peter Gansevoort, who ordered construction of the “Gansevoort Flag” in 1777. This flag is believed to be the inspiration for the New York State flag and can be found at the Albany Institute of History & Art. ORDER THE NEW NYS FLAG: The Updated NYS Flag design can be purchased (in a variety of sizes) exclusively at SaratogaFlag.com. Call for more information (518) 792-1776. This entry was posted in Uncategorized and tagged Made in USA, New York State, Peter Gansevoort, Revolutionary War, Saratoga, Seal. Bookmark the permalink.